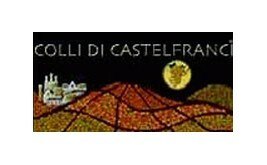 IMMERSA NEL VERDE DEI VIGNETI TIPICI DELLA ZONA, LA CANTINA COLLI DI CASTELFRANCI È UN'AZIENDA VITIVINICOLA CREATA DA GIOVANI APPASSIONATI DEL PROPRIO LAVORO, CHE CREDONO FORTEMENTE NELLE POTENZIALITÀ DELLA PROPRIA TERRA: CASTELFRANCI, PICCOLO BORGO NEL CUORE DELL’IRPINIA IN PROVINCIA DI AVELLINO. L'AZIENDA È NATA DALL'UNIONE DELLE FAMIGLIE GREGORIO-COLUCCI, VITICOLTORI DA SEMPRE E GRANDI APPASSIONATI DELLA PROPRIA TERRA, CHE DAL 2002 ABBINANO TRADIZIONE E TECNOLOGIA, VINIFICANDO E IMBOTTIGLIANDO IN PROPRIO LE LORO UVE E, CON LA COSTRUZIONE DI UNA MODERNA CANTINA, PRODUCONO RAFFINATI VINI DESTINATI ESCLUSIVAMENTE ALLA RISTORAZIONE. L'ENTUSIASMO DELLA GIOVANE AZIENDA, LA DEDIZIONE AL LAVORO E SOPRATTUTTO L'ALTA QUALITÀ DEI PRODOTTI, RENDONO LA CANTINA COLLI DI CASTELFRANCI UNA TRA LE AZIENDE PIÙ RILEVANTI NELLA PRODUZIONE DI VINI PREGIATI NEL TERRITORIO CAMPANO, CON RICADENZE NELL’ECCELLENZA ITALIANA.